A Football Fan Has Been Jailed For Assaulting An Aston Villa Footballer During a Match. Birmingham City fan Paul Mitchell was handed a 14-week prison sentence at Birmingham Magistrates’ Court for the mid-game assault he launched on Aston Villa’s Jack Grealish during last weekend’s derby fixture between the two sides. 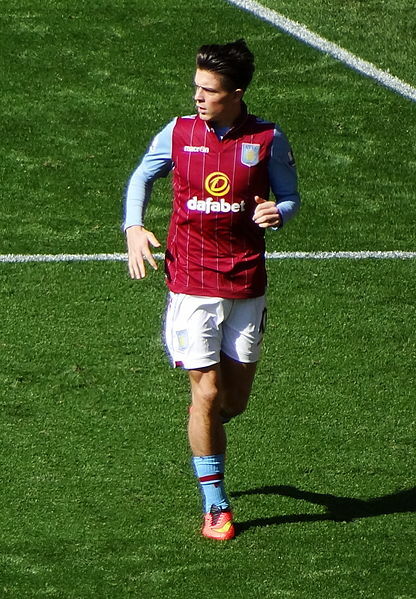 27-year-old Mitchell invaded the St Andrew’s pitch ten minutes into Sunday’s match, before running up behind the unaware Villa captain and delivering a sucker-punch to the midfielder’s head. Although floored by the assault, Grealish suffered no apparent loss of form and went on to score the only goal in Villa’s 1-0 victory over their local rivals. Mitchell, from Rubery in Bromsgrove, Worcestershire, was additionally fined £350, including £100 compensation to Grealish for the discomfort & shock of the incident. Magistrates furthermore banned him from all football grounds for ten years. The club also stated that it had issued Mitchell with a total ban for life, not only insisting that he would never be readmitted to St Andrew’s stadium but also that he would be permanently blocked from ever again purchasing tickets to away games, either in person or by proxy. The attack inevitably led to incandescent exchanges between rival fans online, which escalated to include comments relating to Jack Grealish’s late brother, Keelan, who died at just nine months when Grealish himself was only four. Birmingham City later said that a second fan had been banned for life, over abusive Twitter posts—and West Midlands Police confirmed that they were continuing to review complaints made as a result of abusive tweets. Shirley Mist has been involved in fashion and design for many years. She has also written extensively for many online publications. She currently writes for The Tribune World and is a valued member of our team.